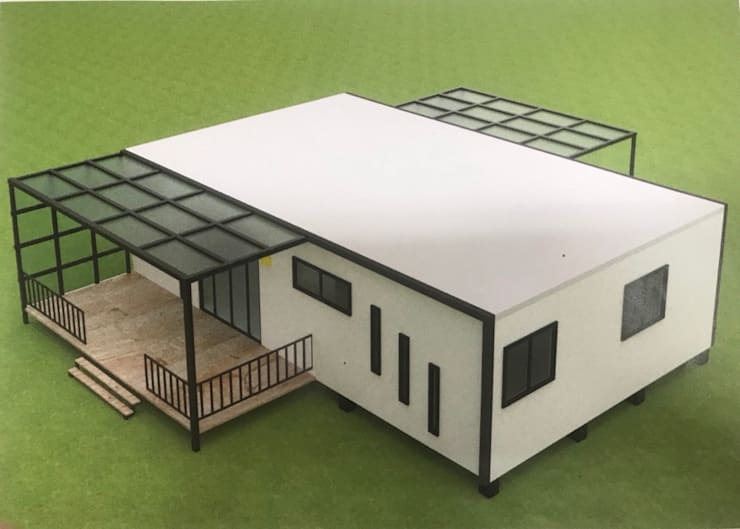 Check out these prefab movable houses with 3D floor plans! The homes of the future will not only be more sustainable and affordable—they will also be much faster to build. 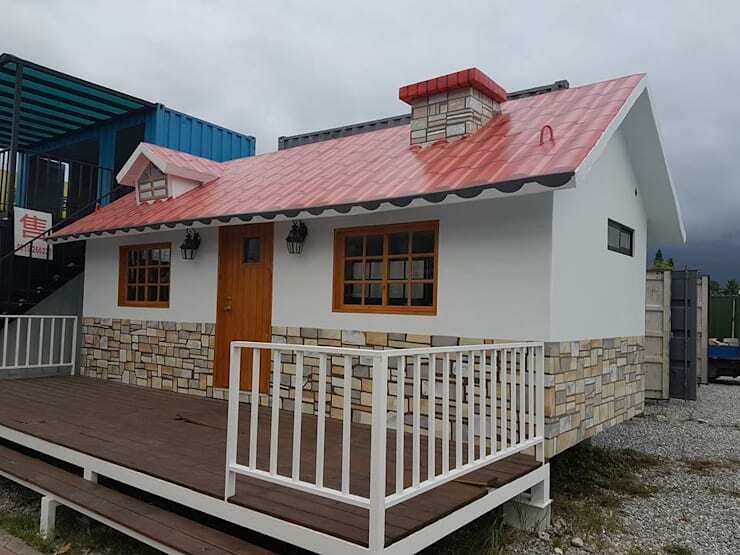 Prefabricated houses are paving the way, and now there's more variety than ever to choose from. More to that, prefab architecture is much sturdier than it looks. 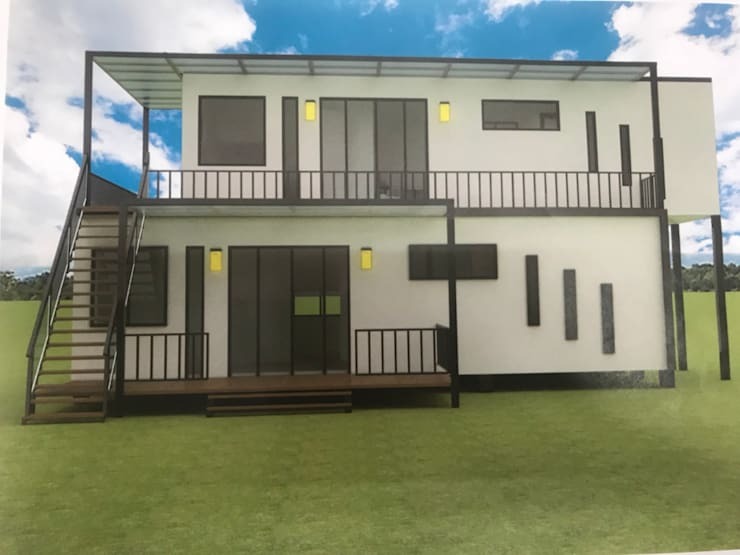 Built with durable, conventional building materials in the Philippine market, prefab houses can withstand the harshest of natural events in the country. Want to know more? Check out these movable container houses that you'll love! 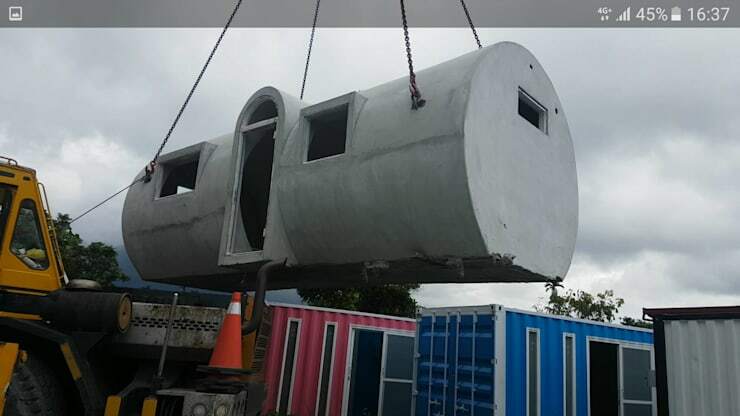 The first prefab house that we are showcasing is built with concrete in a typical home design. The house features a simple exterior design, and a sturdy gable roof. 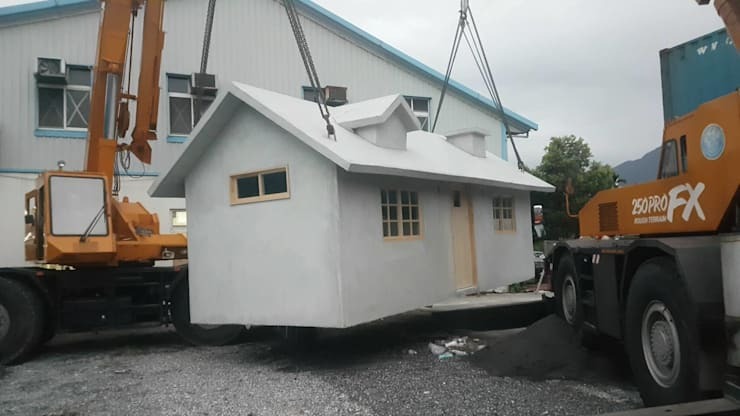 You might think that this house looks very lightweight, but it actually is very durable and strong. A touch of paint and other materials here and there, and Viola! You got yourself a stylish and cozy-looking bungalow! This lovely prefab home added a dash of multi-colored bricks for the exteriors, and painted the roof red for an eye-catching effect on the neighbors. The house is also leveled, which allows an opportunity for a front deck to shine through. The next prefab house on the list is this uniquely shaped container home. Also built with sturdy concrete, this house is shaped like a tube, providing the homeowners a play on shapes and dimensions. 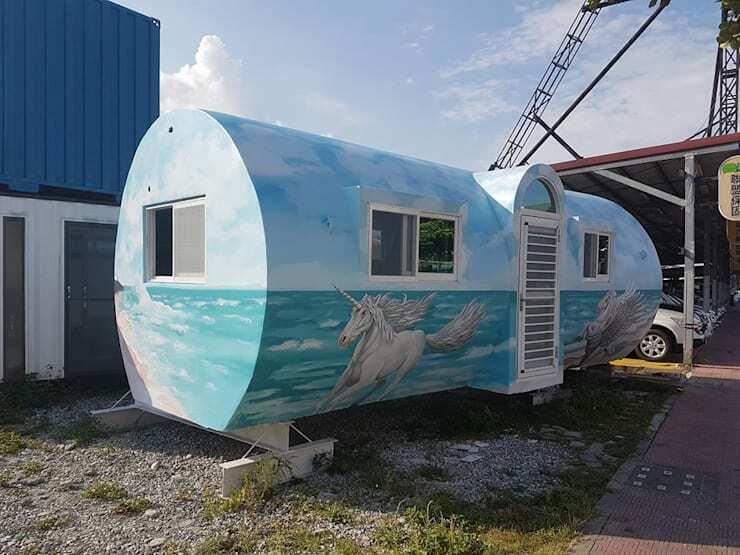 How cute and adorable is this home! It might have a great potential for your kids to use it as a play home. Customize it with paint and prints in your own design! 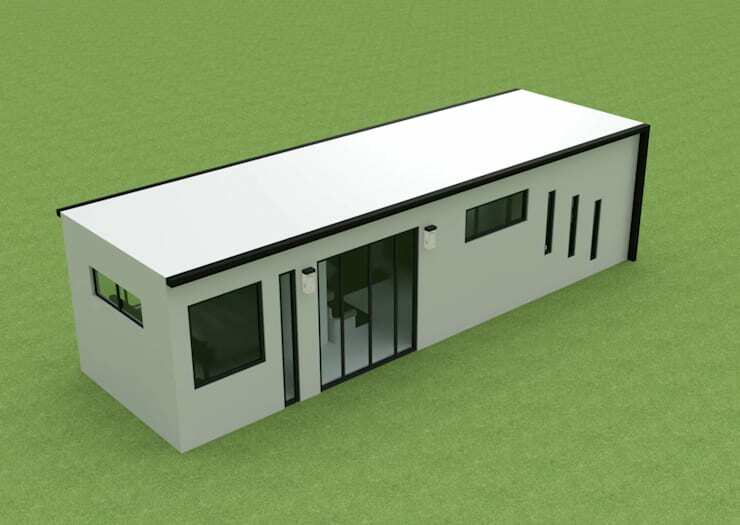 Our third home model is laid out in 3D form -- an elongated, sleek bungalow shaped in a rectangular form. It provides very sleek and modern exterior details. The windows are designed uniquely too, but in a more contemporary way. The palette is also very minimalist, so ties up the overall modern design. 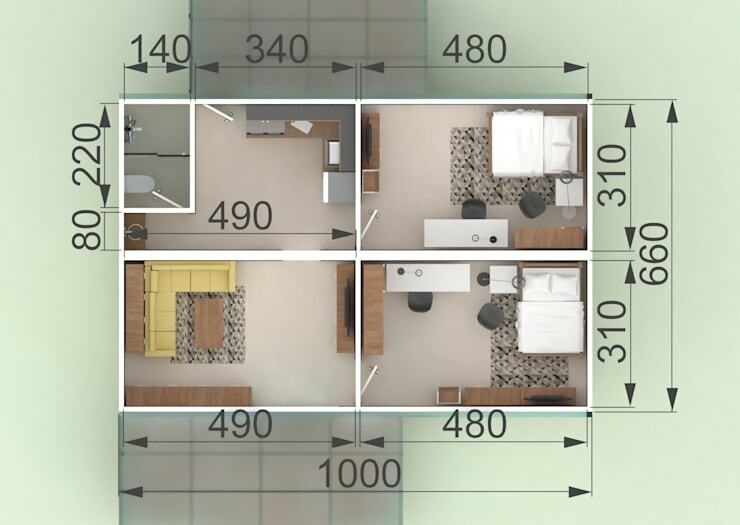 Here's a layout plan of Prefab Home 3. 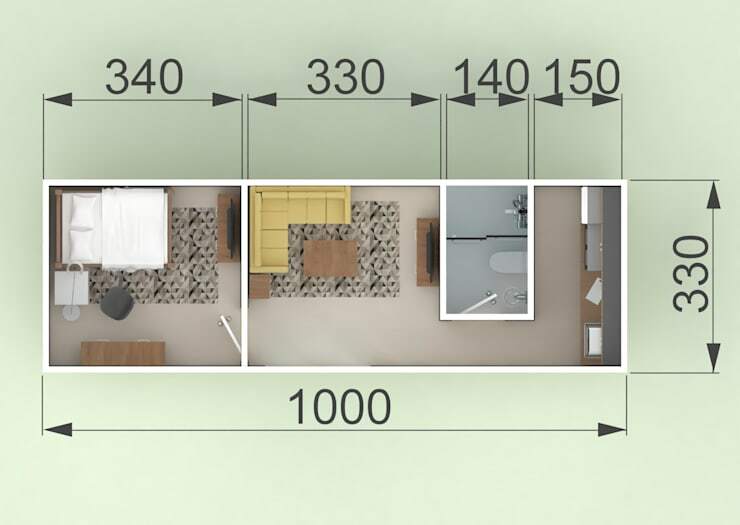 It consists of a Master bedroom, a lovely living room, a bathroom, and a kitchen area. This prefab home can also be customized in terms of its spaces. Homeowners can create an open space layout with the living room and kitchen area. 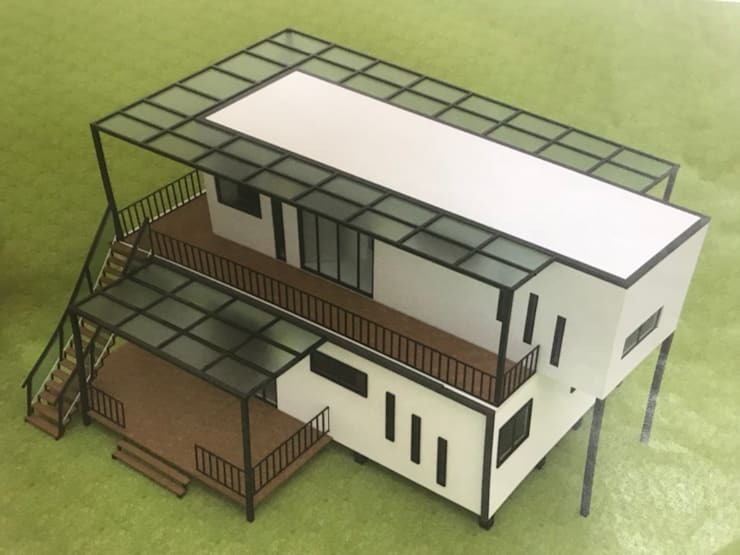 Slightly different from the home model above, this modular house features spacious interior dimensions, and added deck areas. This house provides a great outdoor enclosure for the homeowners. 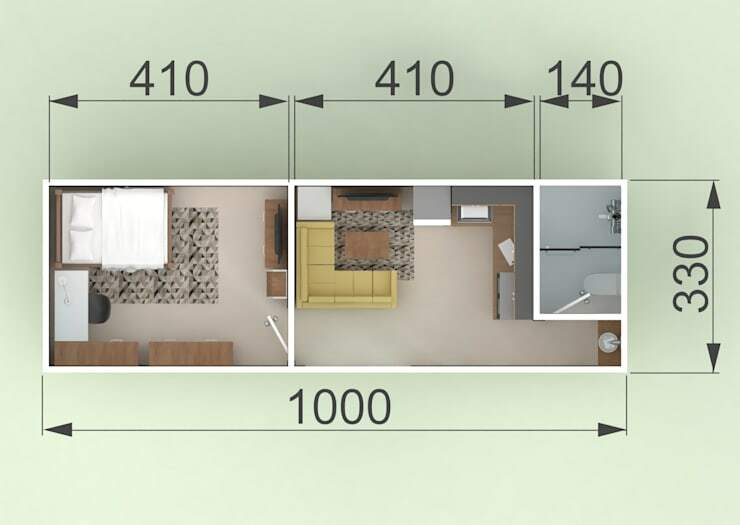 The house's layout plan is divided into four areas -- two bedrooms, a living area, a kitchen area, and a bathroom. Lastly, this prefab home doesn't look prefabricated at all! A two-story design is featured, which is a little more challenging to assemble compared to simple bungalows. Three main building materials are incorporated in this prefab home -- concrete, wood, and glass. Glass is stylishly used not only on the windows and sliding doors, but also on the roof! Check out this ideabook for more ideas on prefab houses!